The NIU School of Music will host its fourth annual World Music Festival, Musical Encounters, from Tuesday, April 9, through Sunday, April 14. As usual, this week-long event will consist of concerts and lectures featuring various world music styles and cultural dialogues in music. Essam Rafea, an artist-in-residence, renowned Middle Eastern oudist, composer and music educator from Syria, and frame drum artist Omar al Musif will kick off this year’s festival. The two will perform a solo recital of traditional Arabic music and Rafea’s original compositions at 8 p.m. Tuesday, April 9, in the Recital Hall. In addition to the performance, Rafea and Aboud Agha, a Syrian-born graduate student in music, will present a lecture titled “Music in a Political Turmoil: Musicians’ Reactions to the Syria Uprising 2011-2012.” The presentation, scheduled at 11 a.m. Thursday, April 11, in Music Building 202, is open to all graduate students in music, political science, history, anthropology and the NIU and DeKalb communities in general. From 4 to 6 p.m. Friday, April 12, Rafea will give a music workshop in Music Building 171 titled “Speaking in Tongues or Improvisation without Borders?”and interact, in a contemporary musical collaboration, with all kinds of instrumentalists. 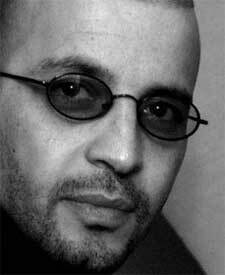 All events featured in Rafea’s residency are sponsored by the NIU Graduate Colloquium. Guest artist Pak Ngurah Kertayuda, a well-known Balinese dancer and musician, will present a workshop on KeCak (the Monkey Chant), a musical drama with chorus, based on the Hindu epic Ramayana. This workshop, scheduled from 5 to 7 p.m. Tuesday, April 9, in MB 102, is open to all are interested in the music and cultures of Southeast Asia (especially those of Bali). Glynnis White, a 2012 Undergraduate Special Opportunities in Artistry and Research (USOAR) recipient and a NIU music education major, will share her fieldwork research about Irish music in a workshop from 3 to 4 p.m. Friday, April 12, in MB171. Special attention will be given to the pedagogical aspects of Irish music tradition, and a live music performance will be featured. 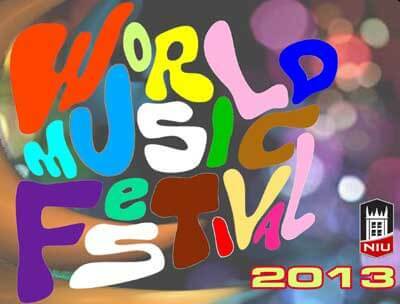 The annual World Music Concert will conclude this year’s World Music Festival at 3 p.m. Sunday, April 14, in the Boutell Memorail Concert Hall. It will highlight several world music performances including Balinese gamelan and dance, Chinese silk and bamboo music, Middle Eastern music, Indian sarod solo, Irish music and Afro pop. In addition, some musicians in this concert will be featured in an improvisation project, “Musical Encounter,” in which various musical idioms of different cultures will be presented spontaneously as the musicians interact with each other through “musicking,” a unique experience reminiscent of the musical encounters musicians had thousands of years ago on the Silk Road. This concert will be another wonderful opportunity to showcase the very diverse music curriculum at NIU, a celebrated tradition since the 1970s. All events are free and open to the public. Children of all ages are welcome to the concerts. The Music Building is accessible to all. For more information, contact Jui-Ching Wang at jcwang@niu.edu or (815) 753-7979.